Hypnotherapy is a very safe method and relaxing method of improving health and wellbeing and bringing about positive changes. 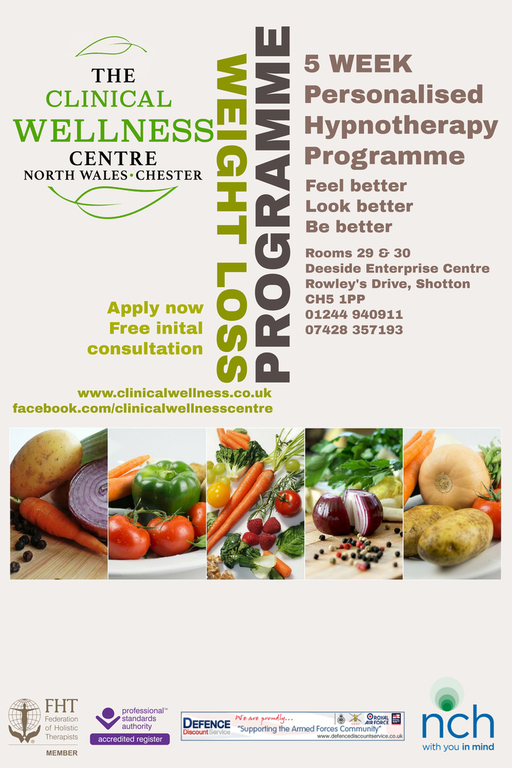 At the North Wales and Chester Clinical Wellness Centre we specialise in hypnosis for Weight Management (including the Virtual Gastric Band), Anxiety Management, Pain Management and Irritable Bowel Syndrome. A more comprehensive list of conditions that we are able to assist with using hypnotherapy can be found by clicking here. This list is regularly updated and if you don't find your condition please contact us. All treatments are planned and agreed with the client and are taliored to their personal requirements. 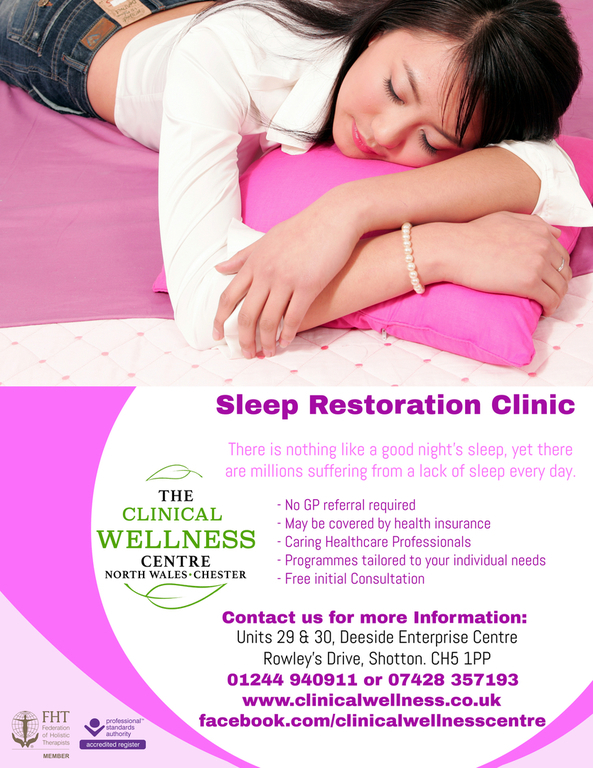 If you wish to discuss any treatments or require further information, please contact us. 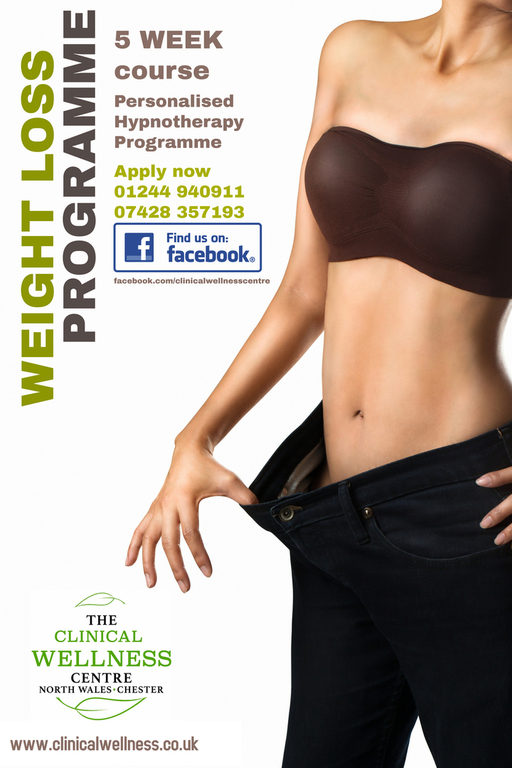 All enquiries and treatments are dealt with in the strictest confidence. 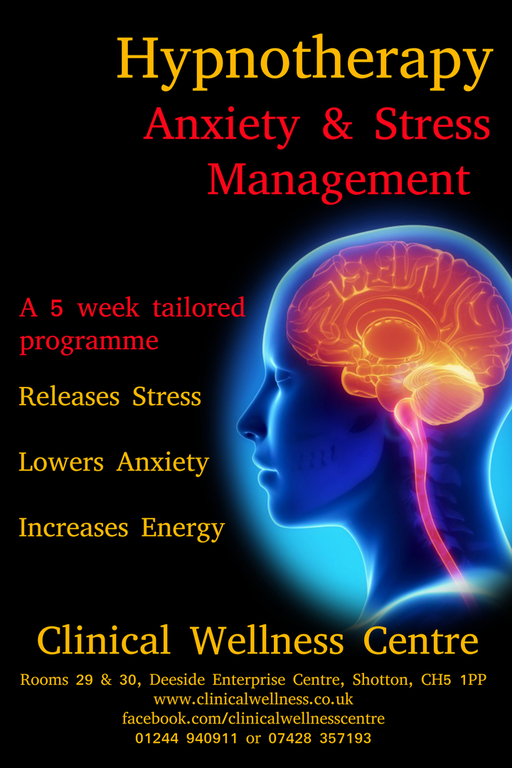 Therapy sessions may be individual or available in packages and are tailored to suit the client. Hypnotherapy sessions typically take 60 - 90 minutes but may take longer for certain therapies. Please call to discuss your specific needs. 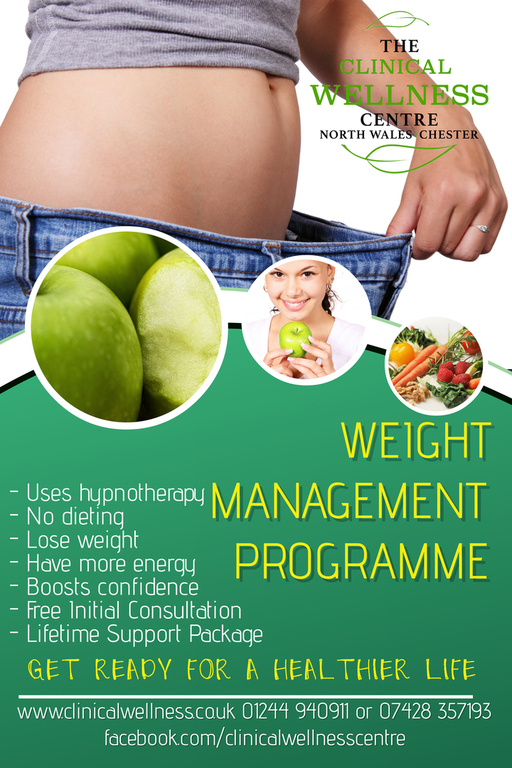 *Weight Management (including the Virtual Gastric Band) is priced at £350 for 5 sessions (includes quality information packs weekly, an MP3/CD audio support session to boost the effectiveness of treatment, and ongoing telephone/email support as required). Discounts are available for OAPs, HM Armed Forces (veterans and serving personnel), and emergency service employees.